Courtesy: Nelson Cruz, Styleluxe Salon. 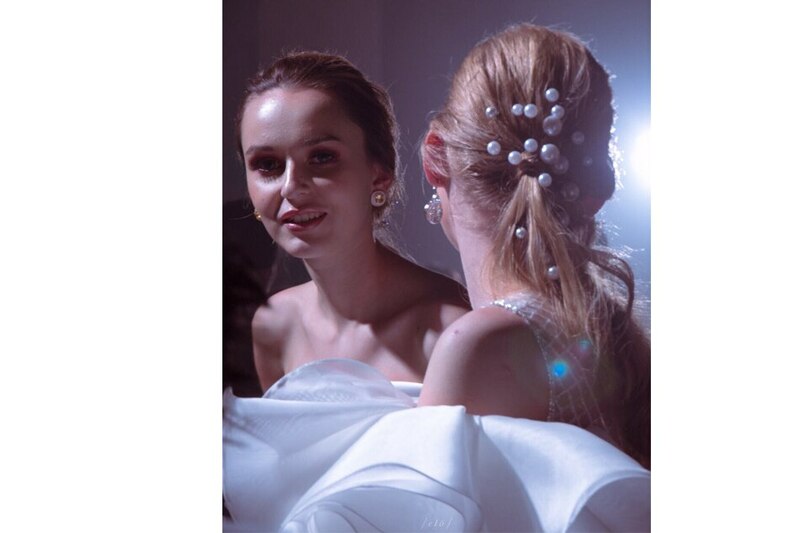 A stunning look is never complete without the perfect 'do, and one of the best examples was Mark Bumgarner's pearl embellished ponytail for his recent Metrowear fashion show. Although the models' rosy, berry-toned smoky eyes were a statement on their own, the elegant finish to the hair just added an extra level of glamour—like dew drops on petals, to go with Mark’s floral tailored collection. 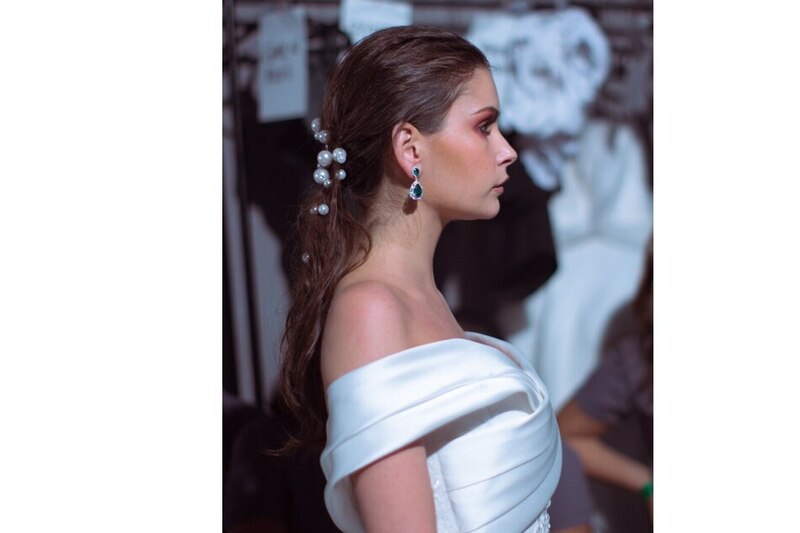 Nelson Cruz of Styleluxe Salon, key hair stylist to Mark's show, wanted to create a carefree but chic style to go with the modern, classic gowns, and to compliment the shiny ESLAX hair colors of the models. 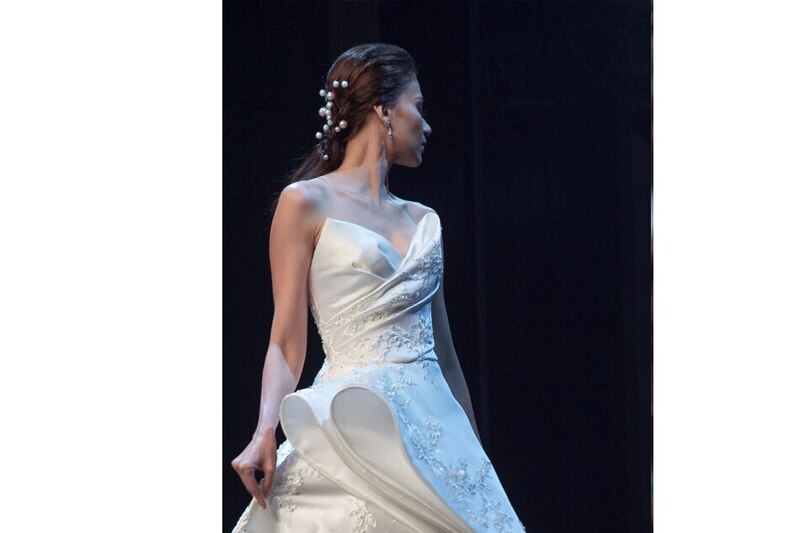 "I wanted to show how style can be light and easy for a modern woman," he said. Taking the standard ponytail that is typical of gym days or weekends, Nelson just added more slick and texture before inserting pearl pins. The approach is so simple that any woman can replicate it for their own use, especially with all the Christmas parties coming up. After a good wash, explained Cruz, comes the application of any root boosting spray or mousse as close to the scalp as possible. Blast dry, and pull back the hair to a low ponytail using fingers—the messier the better! Then, top off with as many pearls or pins as desired. Last but not least, of course, is keeping one's head and spirits high. "Ultimately, having the right outlook is everything," said Cruz. "You just have to be always confident of how you look, which is what being beautiful means."